Hey, Ansible readers! I’m very pleased to announce that it’s FINALLY time to reveal all the details from my ‘Ender’s Game’ film set visit last May. Come back on Wednesday July 10th, when I’ll spill the beans about the production art and our interview with the producers of the ‘Ender’s Game’ movie. If you have any specific questions answered, leave it in the comments or send me a tweet! 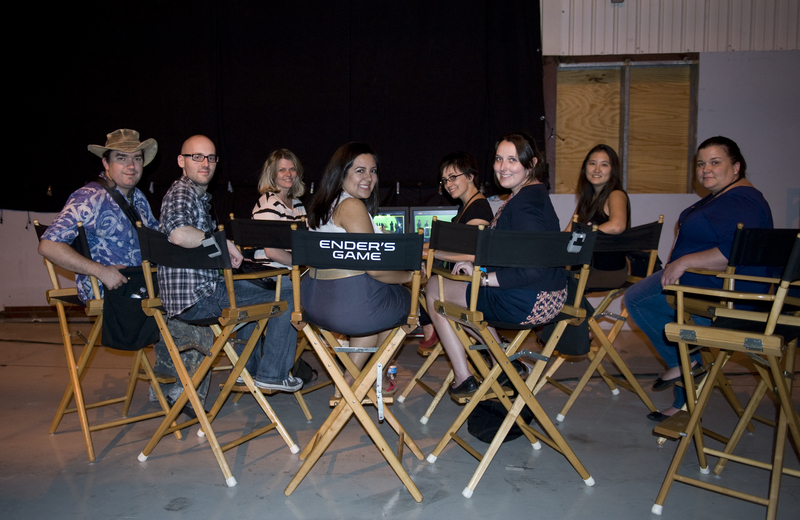 Until then, enjoy this picture taken on set of your favorite Ender administrators, and a few other journalists. Edit: The studio has requested that we hold on these set reports until further notice.